Cloudy. Slight chance of a rain shower. Low 51F. Winds SSE at 10 to 20 mph..
Cloudy. Slight chance of a rain shower. Low 51F. Winds SSE at 10 to 20 mph. 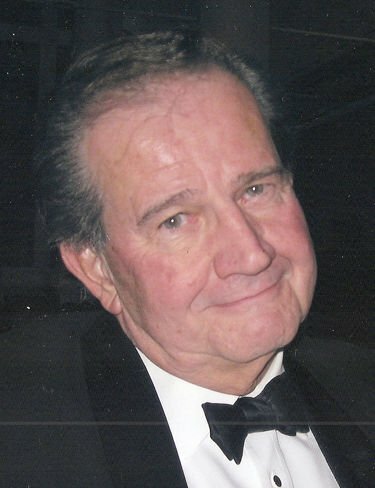 John M. Mitchell RUTLAND — John M. Mitchell, of Rutland, died on March 28, 2019, at the age of 80. Mitchell was born Sept. 20, 1938, at Physician’s Hospital in Queens, NYC, the son of James W. Mitchell and Genevieve McKearney Mitchell, both late of Bronxville, NY. During WWII, he was reared in Georgia and California as the Army brat son of his Lt. Colonel father, and settled in Bronxville in 1946. A graduate of Bronxville High School in 1956, he was appointed to the first class at the U.S. Air Force Academy but matriculated at, and graduated from, Dartmouth College with his AB in 1960, instead. In 1961, he received his MBA degree from Dartmouth’s Amos Tuck School. He joined New York’s Silk Stocking 7th Regiment Army National Guard unit in NYC as Private, earned Soldier of the Cycle award at Fort Dix and graduated second in his class from the Infantry School at Fort Benning as 2nd Lt. He commanded Company A, 1stBn completing his service requirement. Mitchell was a self-styled “Corporate Vagabond” rising from junior accountant at Ernst & Ernst in NYC, went through the ranks at Sperry Rand’s Univac International Division in NYC and PA, on to Sybron Corp.’s finance department in Rochester, NY, then Condec Corp. as controller in Greenwich, CT, and to president of Powell Duffryn (USA) in New Canaan, CT, and finally, as president of the Vermont Marble Co. and Omya Industries Inc. in Proctor. He retired in 2006 from his business activities, yet remained a director of the Ethan Allen Institute and the Associated Industries of Vermont for a number of years. In 1962, he married the former Melinda Marsters, with whom he had two sons Peter M. Mitchell, of Chicago, IL, and Jeffrey D. Mitchell, of Centerburg, OH. The marriage ended in divorce. His varied interests included serving as chairman of the Board of Directors of the Connecticut Ballet Theater, owning and riding horses, skiing, golfing as a member of the Country Club of Rochester (NY) and the Rutland Country Club, championing conservative Republican politics, and traveling with dear friend, Carol McQuate. He is survived by his sons; granddaughter Margaret Mitchell; brother James William Mitchell and wife Jackie Mitchell; two nieces, a nephew, two grandnieces and a grandnephew. He was predeceased by his younger brother, Peter David Mitchell. The memorial service will be held at 11 a.m. Saturday, May 4, 2019, in the Good Shepherd Lutheran Church, with the Rev. John Longworth, pastor, officiating. A reception will follow at the Rutland Country Club, 275 Grove St., Rutland, from 12-3 p.m. Memorial contributions may be made to the Rutland Boys & Girls Club of America, 71 Merchants Row, Rutland, VT 05701; Vermont Adaptive Ski & Sports, P.O. Box 139, Killington, VT 05751; The Paramount Theatre, 30 Center St., Rutland, VT 05701; the Good Shepherd Lutheran Church Memorial Fund, 6 Hillside Road, Rutland, VT 05701; or the USO, Dept. WS, P.O. Box 96860, Washington, DC 20077. The Tossing Funeral Home is assisting the family with arrangements.